The Parker-Gray High School year of 1944 – 1945 had one principal and twenty-two teachers. 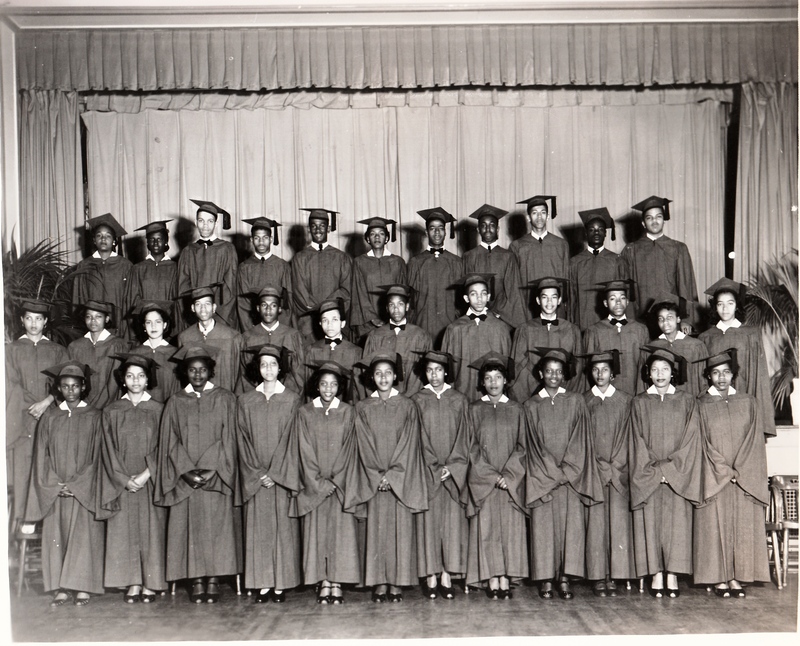 Above is a picture of Parker-Gray High School graduating class of 1945. Thirty-five students were in the Class of 1945. This entry was posted in Education, Parker-Gray School and tagged 1945 Class of Parker-Gray High School, African American High School. Bookmark the permalink.